Megan Reilly (99 ECNL) recently participated in the Northern Ireland U19 National Training Camp from February 12-17th. Run by Head Coach, Alifie Wylie, the camp was designed to bring together the federation's elite players as Northern Ireland prepares for the U19 UEFA Women's Championships this summer. The players partook in two friendly games against Turkey and several training sessions. Megan started game one (1-0 win) and came off the bench in the 0-0 draw in game two. Regarded as one of the top attacking midfielders in Texas by international and college coaches, the Oklahoma University commit will continue to have opportunities to play at the highest levels in the world for a long time. 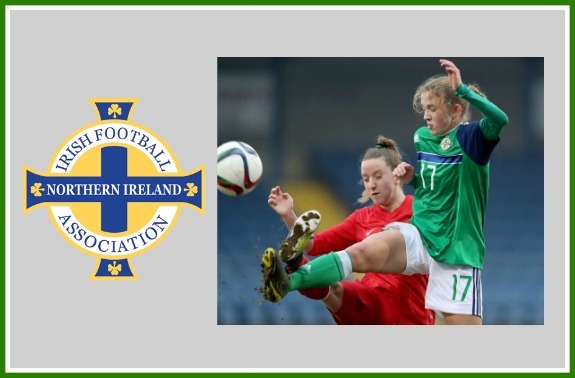 "Once again, we are very proud of Megan and her recent selection to the Northern Ireland National Training Camp', said Challenge Director of Coaching, Pat O'Toole. Megan is a technically gifted player who possesses great vision and a sophisticated soccer sense; She is certainly the type of player who can thrive in an international setting and we can't wait to see what the rest of year has in store for Megan as we hope to see her continue to get opportunities with Northern Ireland".